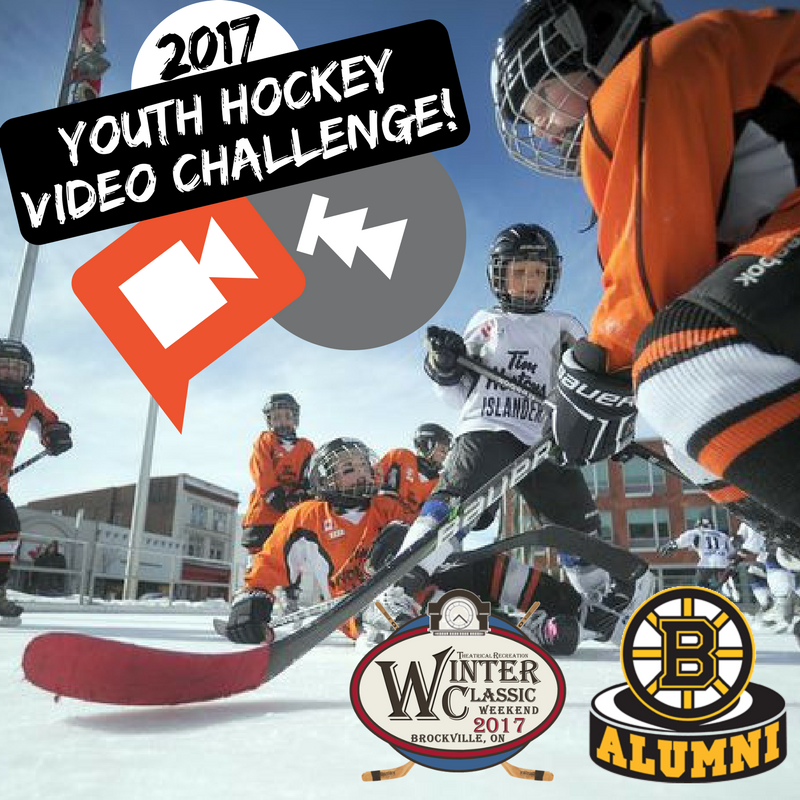 2017 Youth Hockey Video Challenge! Want to lace up against Ray Bourque & the Boston Bruins Alumni on March 5th?! Create a short video about your team and submit to the Brockville Winter Classic Weekend via Facebook or email at brockvillewinterclassic@gmail.com BY FRIDAY, FEBRUARY 24th! Use your creativity and show us what makes your team so GREAT! Have an awesome team cheer? Is your warm-up the most impressive? Have a funny team ritual that gives you luck? Anything goes! The committee will select their favourite video and announce the winning team on 26/02/2017.